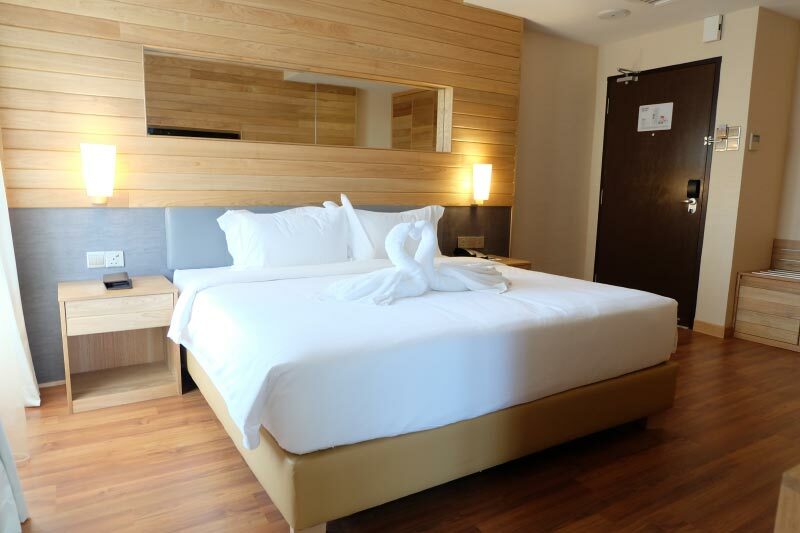 Our swanky Penang accommodation offers the most elegantly styled and spacious rooms you can ever find. 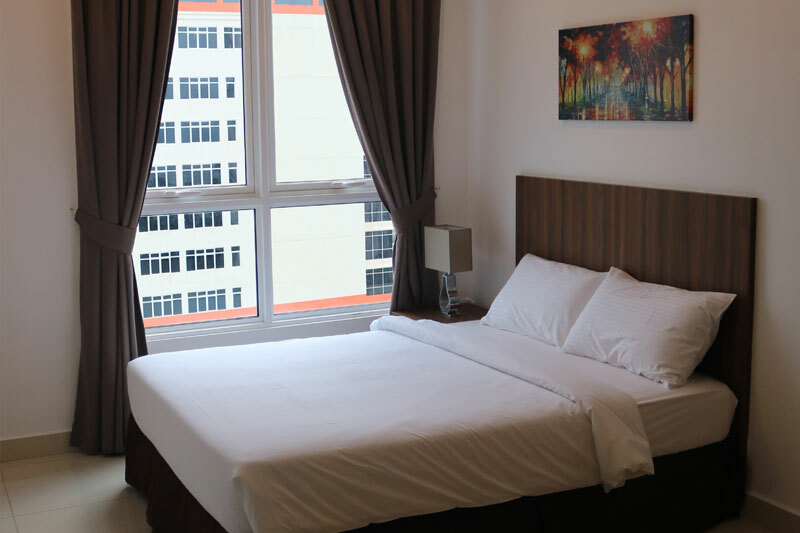 The VOUK Hotel Suites ensures that our accommodation in Penang is equipped with only the best amenities. 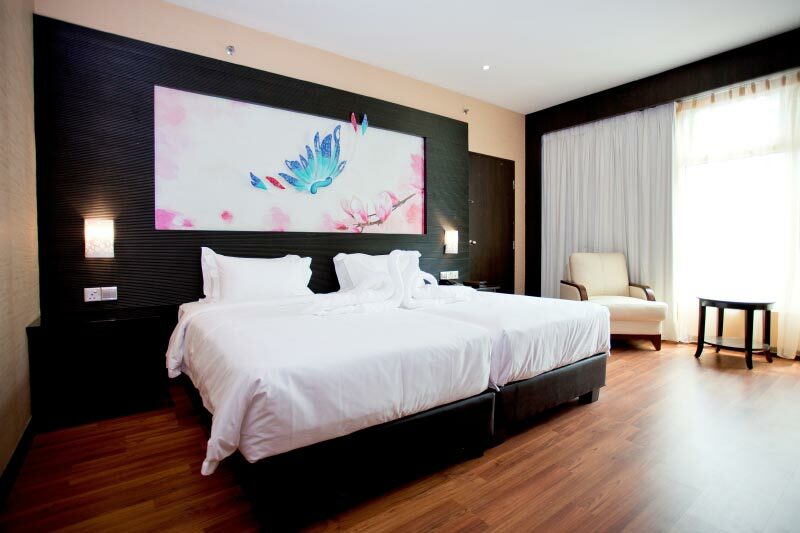 The well-appointed 24sqm Deluxe Room exudes sheer sophistication and elegance. 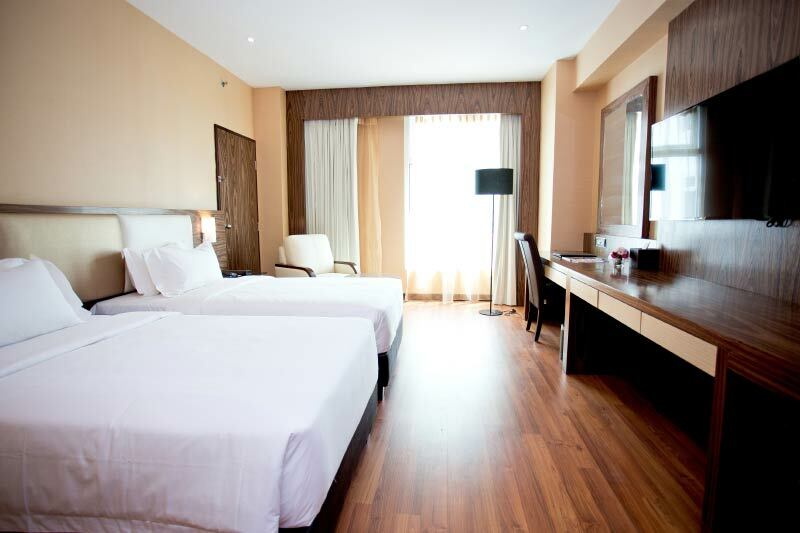 The stylish rooms offer guests and travelers ample space equipped with the standard amenities. 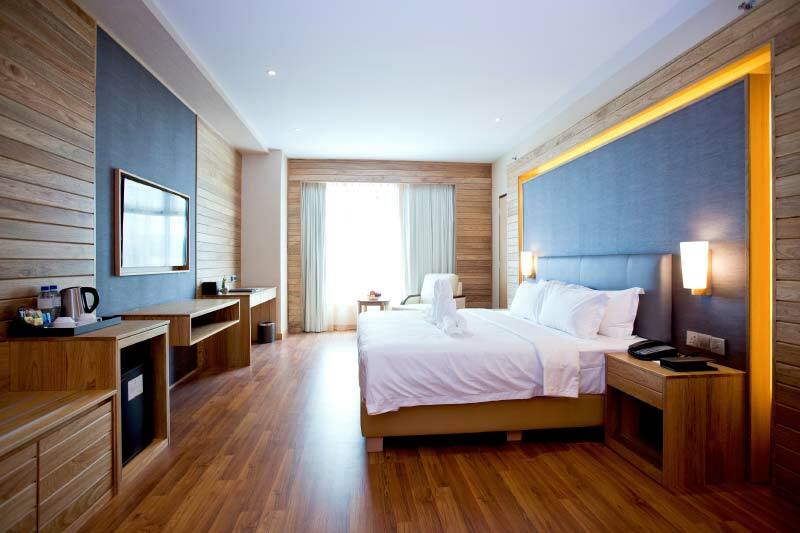 Modern furnishings make the Deluxe Room feel more like home. 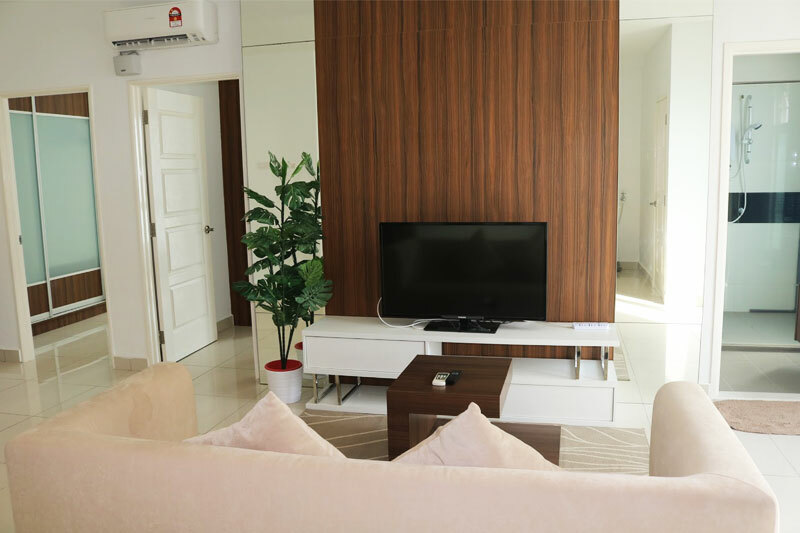 Flat screen TV with cable channels are available for constant entertainment. Business travelers may appreciate the serene ambiance, high speed Internet, and sleek work desk. Families, friends, or business associates can unwind in our spacious Deluxe Triple Room. It also comes with delicate wood furnishings. 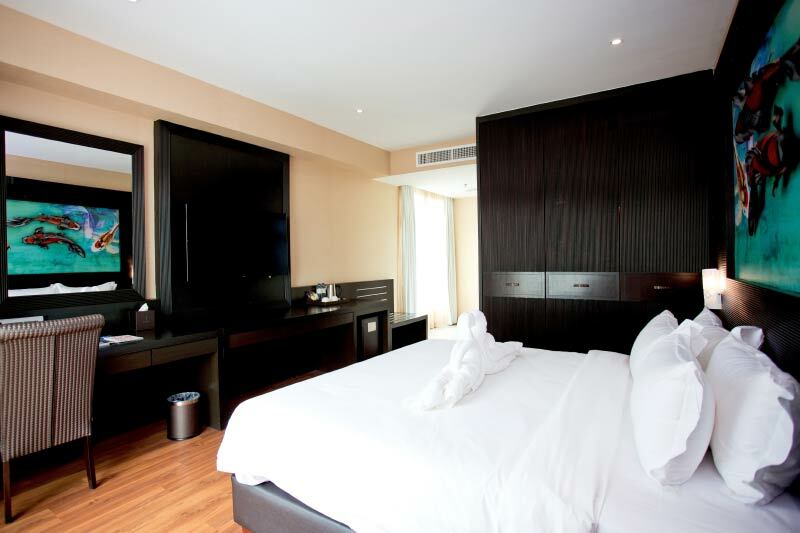 Feel at home with a collection of luxuries including a plush King-size and single bed and a flat screen TV. 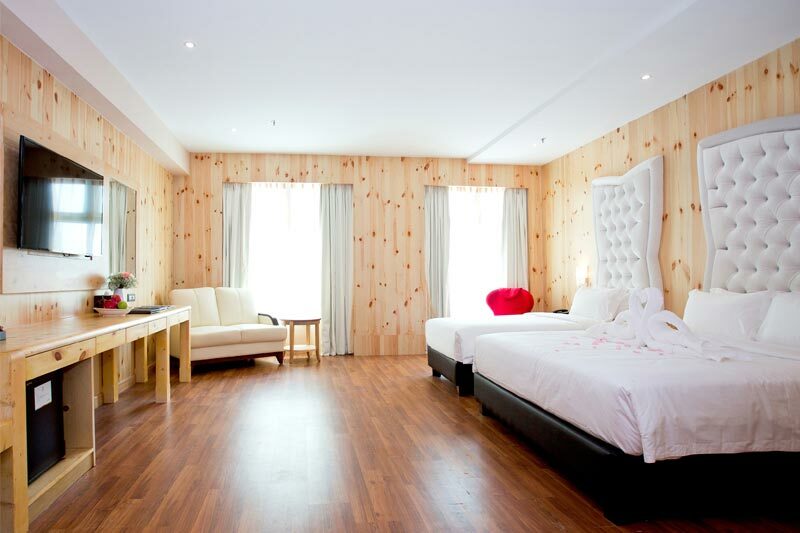 Not to mention an expansive wooden desk, coffee and tea making facilities, and high speed Wi-FI Internet access. 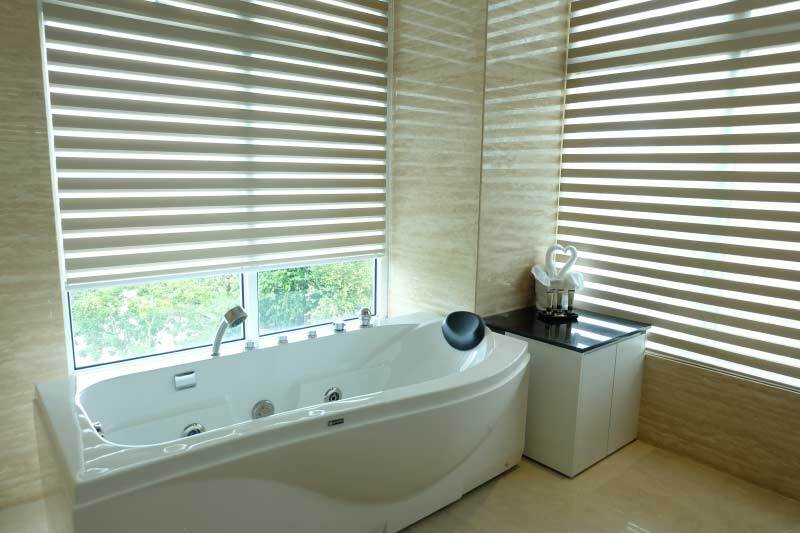 Cap off the day by enjoying the rain shower, marble-clad bathroom facilities. that features a Bath tub/Jacuzzi tub and a walk-in shower. Stay connected and entertained with the 42-inch flat screen TV and high speed Internet. 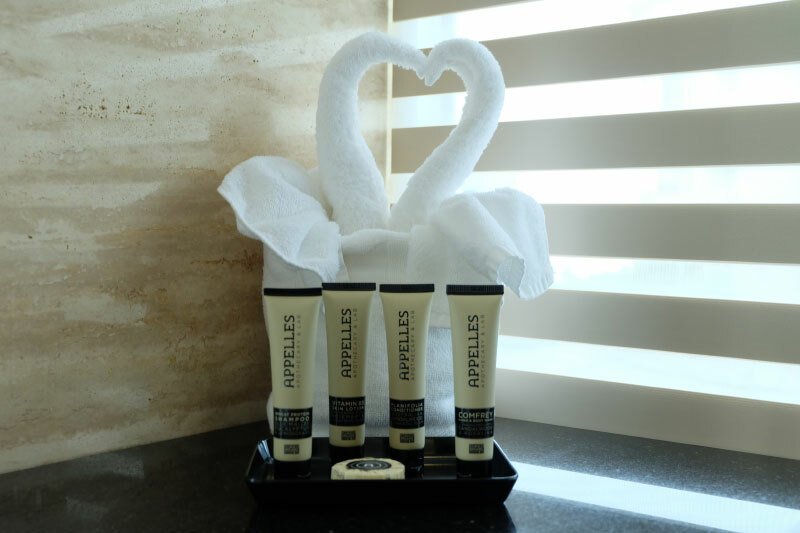 Pamper yourself with Appelles Apothecary Bath Amenities and other deluxe toiletries. 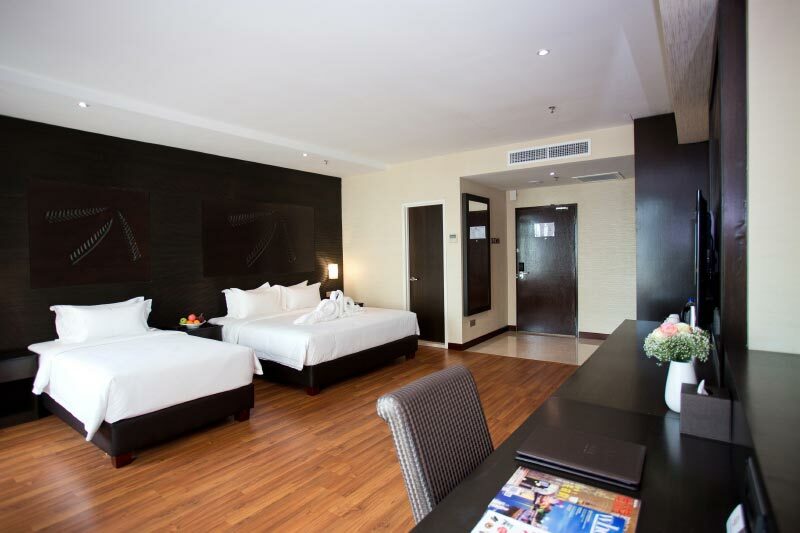 The Executive Suite at our Penang accommodation is truly an idyllic escape for business travelers and honeymooners. 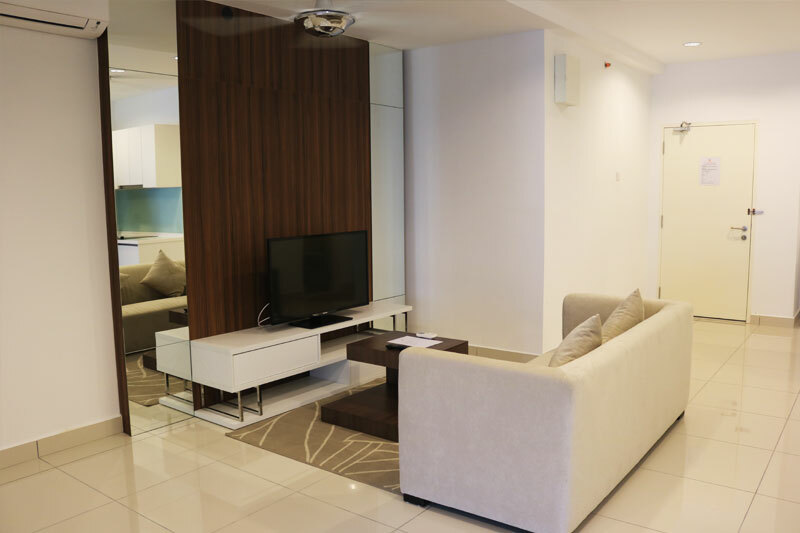 VOUK Suites at Mansion One is a Georgetown, Penang accommodation that offers 128 spacious apartments replete with deluxe amenities like a basic kitchenette and living area. 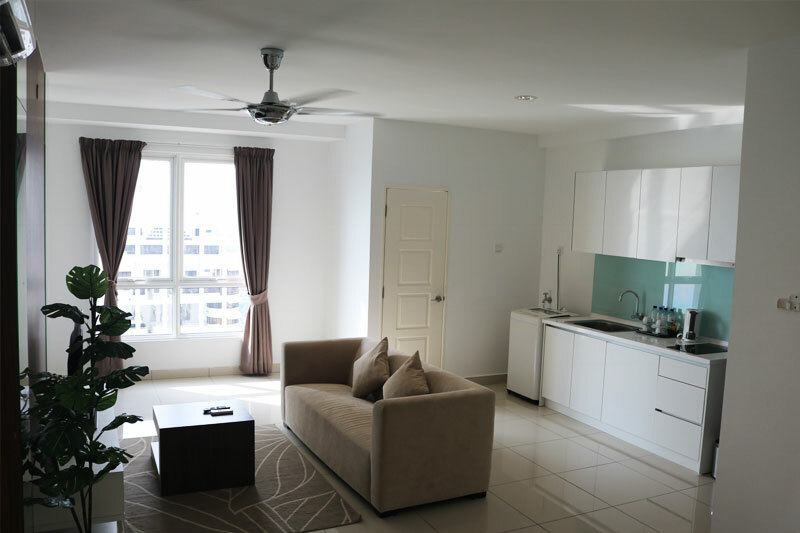 It is the only apartment in Penang that offers services and facilities that can be found in hotels.